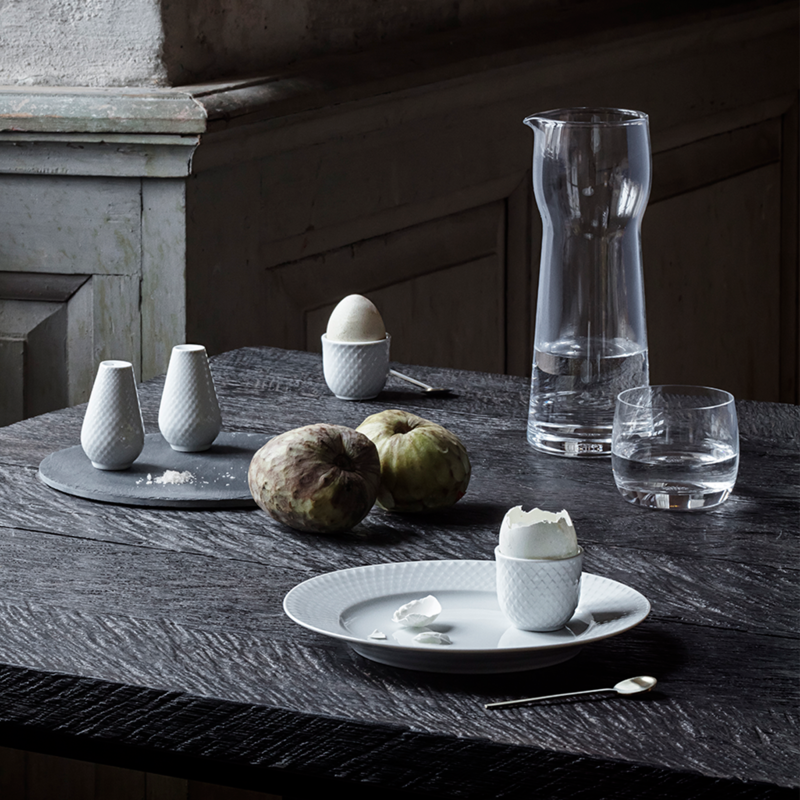 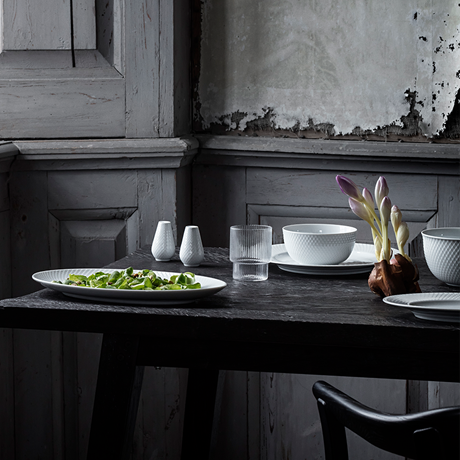 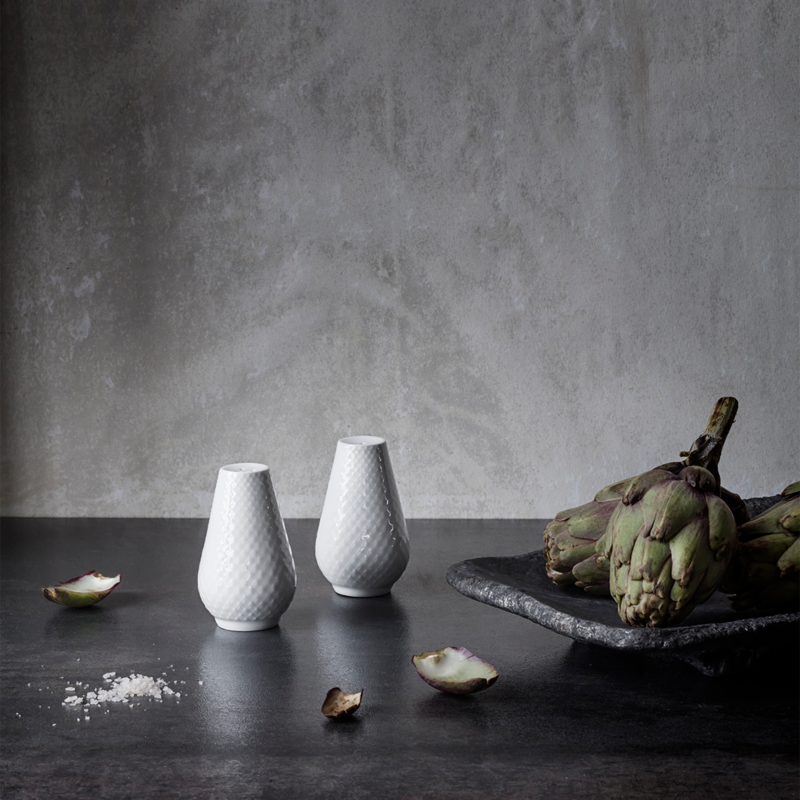 The pretty, classic Rhombe salt and pepper set by Lyngby Porcelæn stands 6.5 cm tall and is embellished with an elegant rhomb pattern all the way around the conical shape. 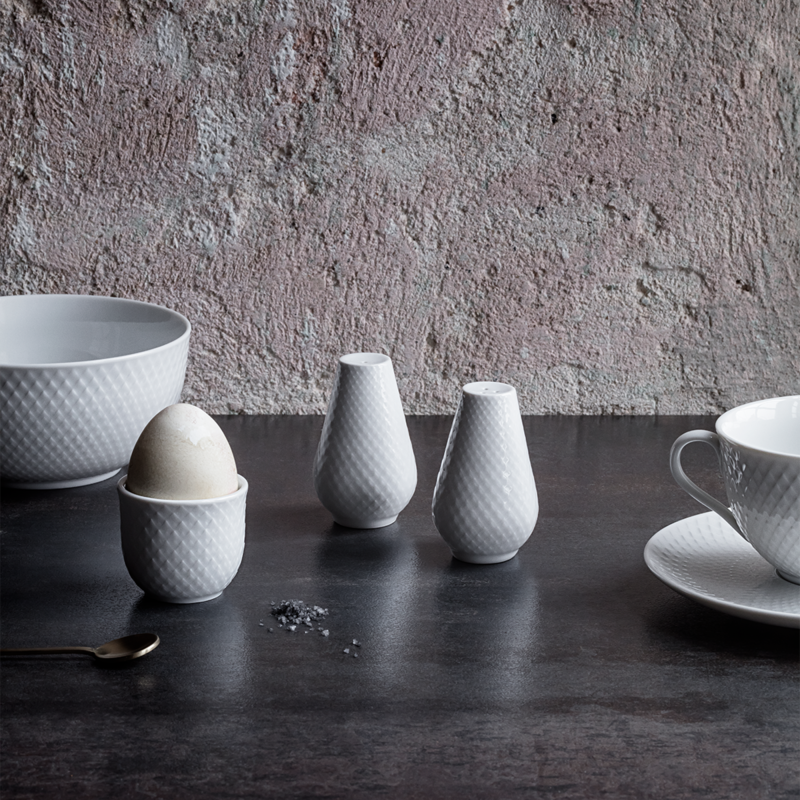 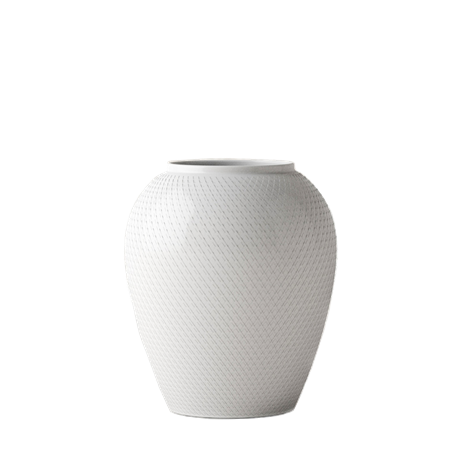 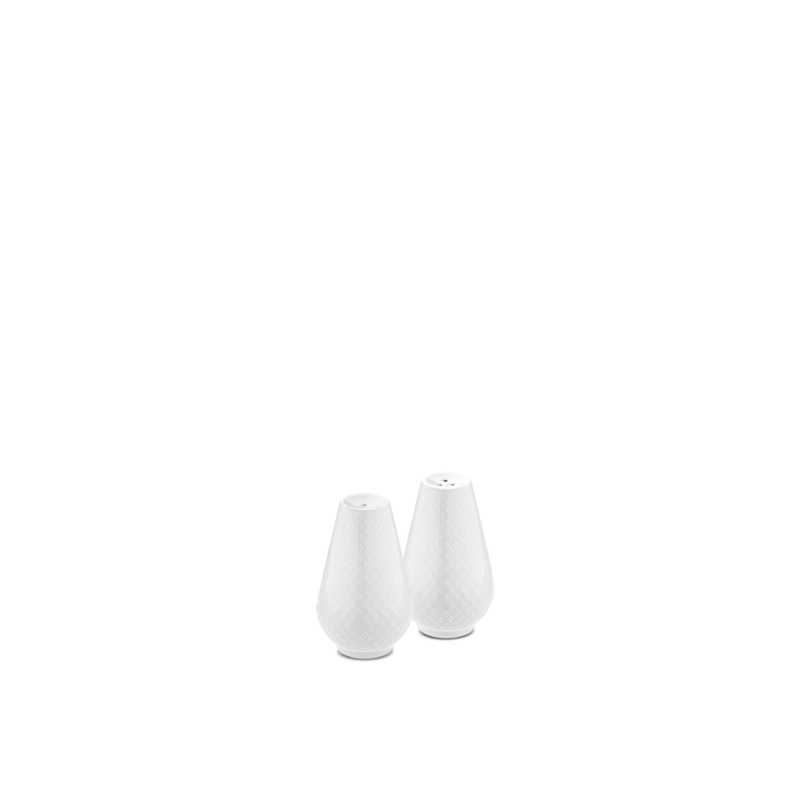 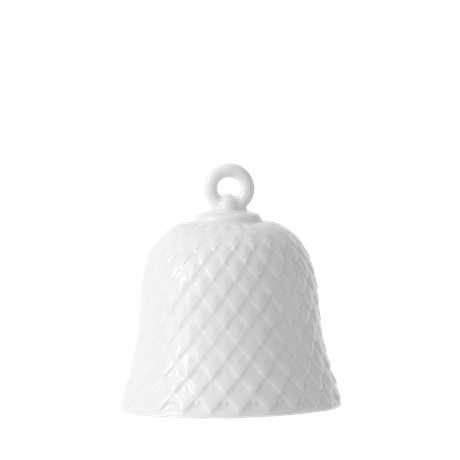 The salt and pepper set is made of glossy white-glazed porcelain with one hole at the top for the salt, and three for the pepper. 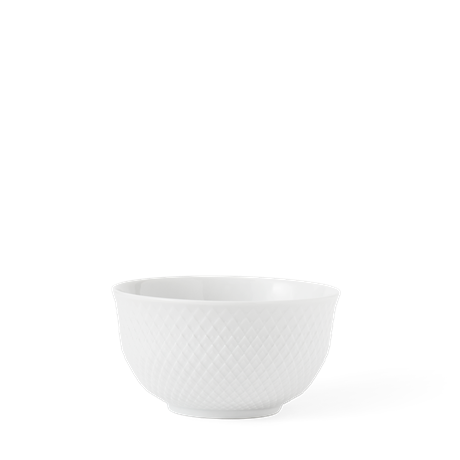 You fill them from the bottom, where a white silicone stopper keeps the hole sealed. 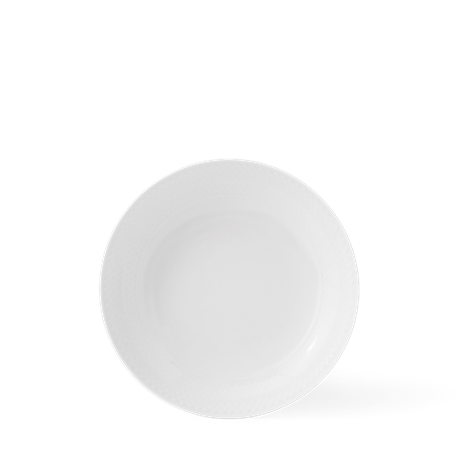 It’s great for the breakfast and dinner table.